The Homeschool Buyers Co-op is pleased to present a BEST DEAL ON THE PLANET for Middlebury Interactive foreign language homeschool courses for grades K-12. Middlebury Interactive's curriculum was developed exclusively for the education market by Ph.D. level academics and linguistic experts. The online courses utilize real-world reading, writing, listening and speaking activities combined with task-based activities to accelerate language acquisition. The online courses are semester-based; each semester provides the age-appropriate level of content. These self-paced courses are available in four different languages: Spanish, French, Chinese and German, from elementary through high school. 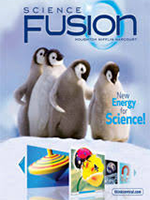 Visit the Middlebury Interactive homeschool website for more information. Read about Middlebury Interactive's "Immersion Approach". Review Middlebury Interactive's FAQ page, which also includes technical requirements to be able to use the online courses. 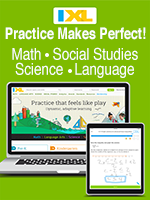 NOTE: FAQs mention virtual language instructors and teacher support. 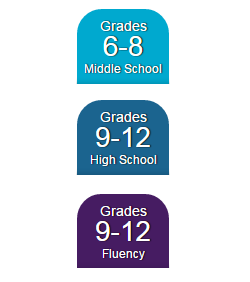 The language courses we offer are homeschool courses and do NOT include these components. 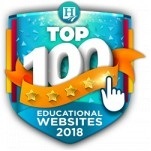 Read the reviews by The Old Schoolhouse Review Crew and find out why Middlebury Interactive was voted "2014 Favorite Foreign Language Curriculum". Fulfillment: Within 15 minutes of receiving your order, the Co-op will publish a Voucher Code in your Co-op account's "My Subscriptions" page that you can use to register at the Middlebury Interactive website. Simply sign into your Co-op account and look for instructions, a link, and the Voucher Code in the "Middlebury Interactive" section of your "My Subscriptions" page. Returns/Cancellations: As this is a special group purchase, you cannot back out once you place your order. However, your satisfaction is important to Middlebury Interactive. You can switch to a different language or level within the first 30-days of your course start date. If you are not completely satisfied, Middlebury Interactive will honor a 50% refund on returns within 14 days of your course start date. Submit your exchange/return request at our Contact Us page.. The initial service fee is nonrefundable. Each Subscription is for One (1) Student, without Teacher Support. 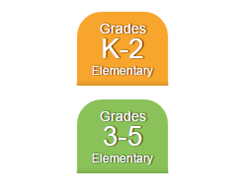 The Grades K-2 course includes 70 days of content. 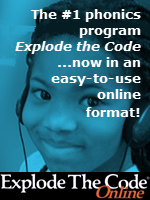 The Grades 3-5 courses includes 90 days of content. Note: Students will have one year to complete each course. Spanish is spoken in over 40 countries around the globe. It is second only to Chinese for the number of native speakers who use it as their first language. Middlebury Interactive offers a full suite of online Spanish courses, which engage students through authentic materials and assist in the four key areas of world language study: listening, speaking reading and writing. For more information on which online course would be right for your child, click here. You can enter any number of semester courses above. 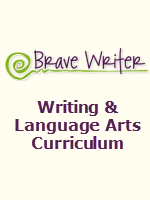 The Grades 3-5 course includes 90 days of content. French is the official language of more than 75 countries across five continents. There are over 220 million French speakers and many more who speak French as a second language. In fact, French is the second most commonly taught language in the world after English. Middlebury Interactive offers a comprehensive portfolio of French courses that feature culturally authentic videos, images and texts, allowing for an interactive experience with the French language that builds reading, writing, listening and speaking skills. Explore a world of opportunities by studying Chinese, the most widely spoken language in the world. Chinese is made up of many dialects, the primary one being Mandarin. Middlebury Interactive offers a comprehensive suite of Chinese courses that actively engage students in a variety of task-based activities, practice exercises and assessments. Recognition and practice of simplified Chinese characters are a key focus in Chinese courses to enhance reading and writing skills, while pinyin is often presented with characters to aid in listening and reading comprehension. German is spoken by over 100 million people worldwide. It was the language of the first printed book as well as the language of such famous people as Mozart, Beethoven, Freud and Einstein. Middlebury Interactive offers an extensive portfolio of German courses that reinforce listening, speaking reading and writing skills, while exposing students to authentic cultural materials. Each Semester Subscription is for One (1) Student, without Teacher Support. 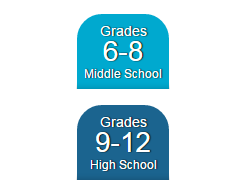 Semesters: Middle School & High School consists of two individual semesters, 18 weeks each, and each with 90 days of content. Note: Students will have one year to complete each semester.